The fresh, spicy aroma of cinnamon leaf is more reminiscent of cloves than cinnamon. 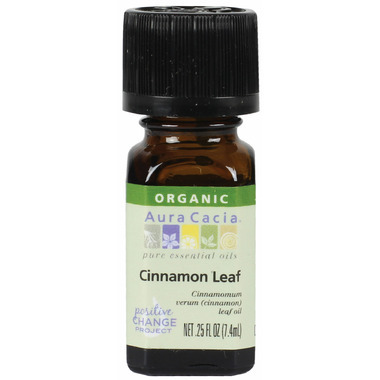 Energizing, focusing and revitalizing, cinnamon leaf enhances active reasoning when diffused into the air. Avoid eyes and mucous membranes. Dilute Properly. May irritate skin. Not for internal Use. Keep out of reach of children. I love the smell of this oil!